Love the Bunny ears . Happy Easter! Happy Easter to you, GG! Shenanigans indeed. Always with these two sisters. Thanks for stopping by Jessica! 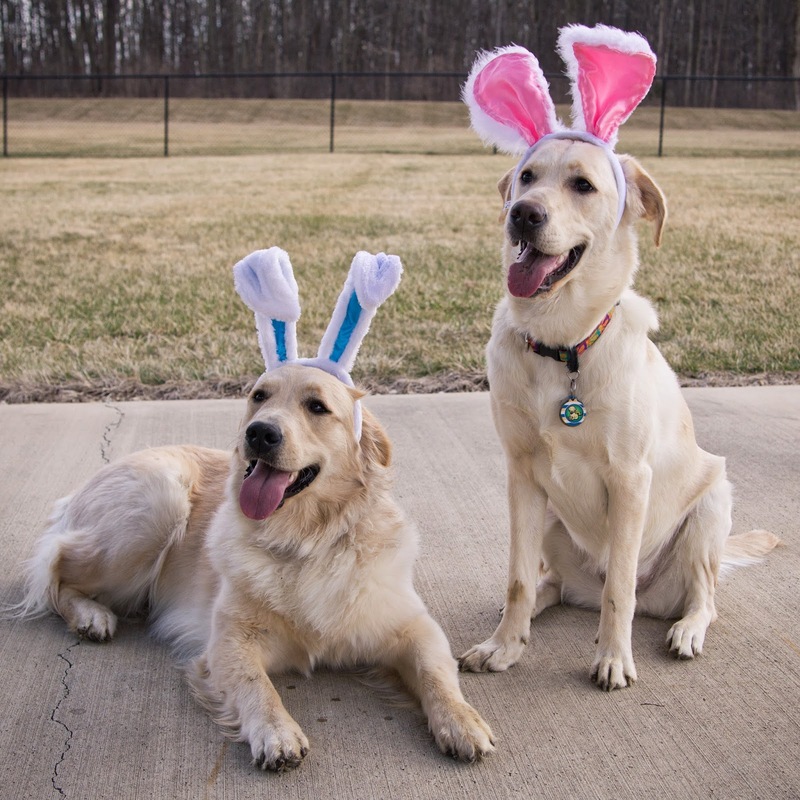 They can rock the bunny ear look, can't they? Miss Holly was tolerant of the things ... up to a point. Later that day, she found one pair just sitting around all unattended. And ripped it to shreds. I got the message, lol.